Relocating office could be one of the most important decisions you make for your business for several years, as it can be one of the most expensive ventures. If managed correctly by the right team and correctly budgeted it could move your business on to the next level, helping you to succeed in the long term. There are multiple reasons why a company may plan an office move, it may be due to a business expansion, a lease on your premises expiring, retraction, mergers or simply trying to reduce costs. There are many benefits to giving your business a fresh start in a new office space but managing this change is all dependent on how successfully you plan your move. An office move can be more complicated than moving a household as you want your business to being operating as normal as soon as possible. Preparing is key and ensuring that everything on your list is complete is essential. Use this quick guide to kelp keep your business move on track. • To avoid additional charges and to help your move go smoothly, check your access and appropriate places for your moving truck to park to and load at the old office location and where it can unload at the new location. All professional movers should ask you about this before you move. 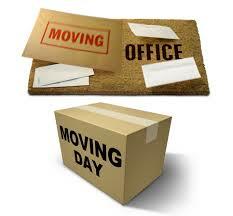 Burke Bros Moving Group have extensive experience helping companies and businesses plan and move their offices. We can provide you with the best advice and service to make sure your move goes as stress free as possible. We even have our own storage facilities to store any items you may not need for your new office but want to keep in the long term. For more information please call 01902 71455 or email sales@burkebros.co.uk.